Fatigue is unfortunately a very common affliction and many times physicians fail to find the cause of fatigue. Here are a few causes that often get missed. Lack of sleep is a common cause for waking up tired. There are studies showing that waking up once at night and turning the light on to go to the bathroom drops the melatonin level precipitously and this does not recover for the entire night. Melatonin is the sleep hormone and we do not make enough of it because of all the artificial light around us which includes phones and TV screens and overhead lights. It is important to turn down these lights in the evening so we have a chance to produce more melatonin. Some people stop breathing at night and this is called sleep apnea. Many people who snore struggle to breathe when they are snoring. Sleep apnea is common in overweight people as the tissues in the neck relax and the weight of them blocks the windpipe causing oxygen level to drop in REM sleep. As a result, people with sleep apnea do not get much REM sleep as the body has to arouse itself when the oxygen level drops. Lack of REM sleep causes the blood pressure to go up and the frequent drop in oxygen level at night puts stress on the heart and lungs. It is is now very easy to get a home based sleep study where the equipment for a sleep study is sent to your home and you strap this on and it monitors how well you sleep. Most importantly, the equipment monitors your oxygen level to see if the oxygen level is dropping at night which would be sign of sleep apnea. If you wake up tired in the morning or have a headache every morning on waking up, or if you sleepy during the day, you might have sleep apnea and it would be good to do a sleep study to diagnose it. Many men wake up multiple times at night to urinate and have to push to get the urine out. Frequent waking up at night to urinate can be a common cause of fatigue for men. There are medications such as Flomax that help to relax the urinary tube coming through the prostate allowing the bladder to empty more fully. 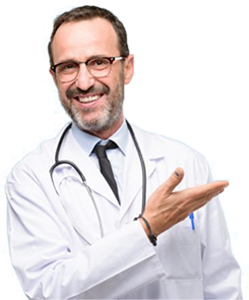 There are also other medications such as finasteride and Avodart that help to gradually shrink the prostate. Many men develop low testosterone and this can be a common cause of fatigue. Lot of men loose the desire to exercise and become couch potatoes. Fatigue is the most common symptom of low testosterone and low libido is not a common symptom. Lot of people including physicians have a misconception that testosterone should only be checked if libido is low. Exposure to environmental estrogens stops testosterone production for men so we are finding many men have borderline low testosterone and do not know it. The thyroid hormone controls metabolism and low thyroid hormone is a common cause of fatigue. Some people can have borderline thyroid hormone levels and so it helps to check thyroid hormone levels regularly. If levels are borderline, I like natural thyroid supplements that have Kelp as a slow release form of iodine. For thyroid hormone levels that are very abnormal, there are medication like synthroid but for those who are fatigued in spite of synthroid, there is another medication called armour thyroid or Naturethroid. Armour thyroid has not not just the inactive synthroid but also the active thyroid hormone called T3. The active thyroid hormone is rapidly absorbed and helps more with energy but can also cause palpitations. Low iron levels are a common cause of fatigue. Many women run low iron levels and this remains undiagnosed as most physicians do not check iron levels. Most physicians only check hemoglobin levels and the “normal” level for women is set much lower than men so the iron deficiency often goes undiagnosed. We check iron levels on all patients and are finding that many people have low iron levels and did not know it. Replacing iron can often help a lot with fatigue.